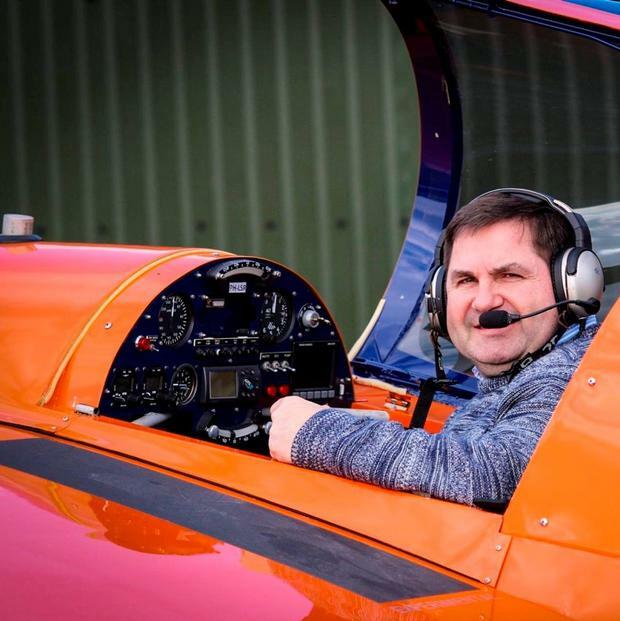 An amateur pilot was killed while performing aerobatics in a recently-purchased aircraft, stated a preliminary air accident report published today. Father-of-five William Hillick, owner of CQ Communications shop in Dublin city centre, was killed when his aircraft crashed into a field beside the runway at Abbeyshrule Airport in County Longford last month. Mr Hillick had flown the aircraft only once before he took off on a second flight in the home-built single-engine aircraft on a Sunday evening, March 20. Mr Hicks purchased the 20 years old Laser Z200 in February and flew it for the first time on Saint Patrick’s Day last. It had been built in the UK and was registered in The Netherlands and it had a valid Certificate of Airworthiness. It was a single seat aerobatic competition mono-plane with enclosed cockpit. On the morning of the crash, he was in a group of flight enthusiasts who travelled in two other aircraft from Abbeyshrule to the Aran Islands and back. On his return, he told friends he was going to take his aircraft for a flight. Investigators were able to review video data recovered from cameras fitted to the aircraft. But the final file on recovered memory cards were not viewable and work is underway to recover additional data from the memory cards before the final report is issued. The pilot flew six complete circuits around the airfield and conducted three 360-degree rolls on one of the circuits and included some aerobatic inverted manoeuvres. “A witness reported seeing the aircraft descending rapidly towards the ground during these manoeuvres and that it impacted the ground in a nose-down attitude,” stated the report. The flight lasted between 14 and 15 minutes. It crashed in a field 130 metres from the runway at 5.45pm. An Irish Air Corps Emergency Aeromedical helicopter in Athlone was despatched and landed at 6pm. Investigators said the engine was still providing power when it crashed. A final report will be published in due course, stated the AAIU. He lived with his mother Margaret Hillick at Knockmant, Mullingar, Co. Westmeath. The day after the tragedy, she said "He was passionate about being in the air. "It was the first time he flew that plane. He bought it from Germany. He was all excited about it, flying was his hobby. He never drank or smoked. "Every time he went flying I would worry about him. I felt so happy when he would walk through the door, but now he's not coming home."